Beyond question, the encyclical letter of Pope Francis, “Laudato Si, mi signore, (Praise be to you, my Lord),” released June 18 will be one of the most discussed papal encyclicals issued in modern times. Clearly this is an important topic that will be discussed and debated pro and con in coming months, but locally the initial reaction has been favorable. “It argues forcefully for the priority of the common good, the dignity of the marginalized and the beauty of God’s creation as a gift we all need to husband and share. 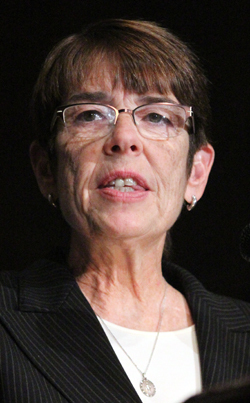 Sister Mary Scullion, R.S.M., cofounder of Project HOME and a leader in programs that alleviate the suffering of the poor, said, “One of the remarkable aspects of the encyclical is its powerful analysis that links climate change to the suffering of poor communities and an unjust international economic system. 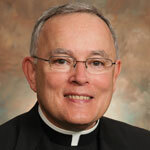 Father Dennis J. Billy, C.S.s.R., who holds the John Cardinal Krol Chair of Moral Theology at St. Charles Borromeo Seminary, believes this really is a document that must be given careful analysis, not snap judgment. Father Billy also points out Pope Francis relies on “the writings of his predecessors, especially John XXIII, John Paul II and Benedict XVI,” and quotes significantly from documents published by various Catholic bishops’ conferences in countries around the world. The Redemptorist priest described the pope’s critiques of “rampant consumerism that is a result of unbridled capitalism” as a root cause of the problem of climate change. The encyclical letter, Laudato Si, can be read or downloaded here.